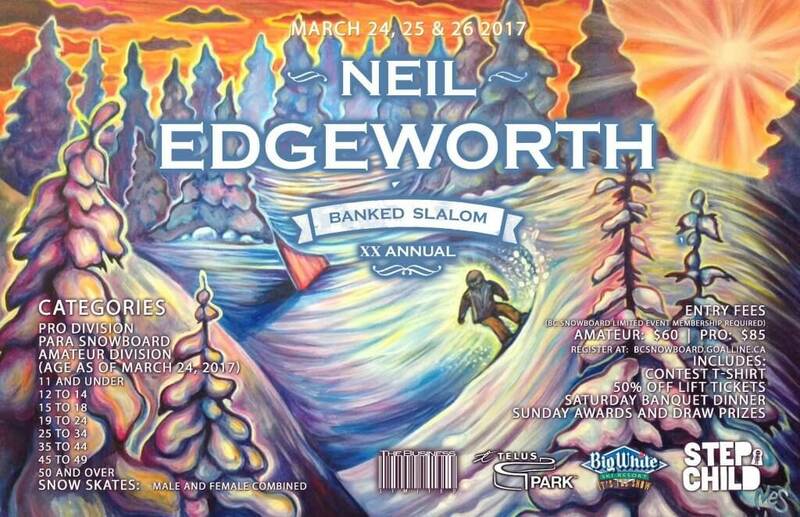 What: The Neil Edgeworth Memorial Banked Slalom is the second oldest banked slalom event in North America after The Legendary Banked Slalom @ Mt. Baker. Details: Originally called the Inland Snowboard Big White Banked slalom it first began in 1987. Years later when Neil Edgeworth was lost in an avalanche in France this became the memorial event as it is today. The snowboard community has lost a lot of great people along the way, like Greg Todds and Craig Kelly, and so this gathering is more about folks remembering why we all started snowboarding and a testament to the true soul of the sport. If that wasn’t enough to bring you out to this event they’ll also be giving away prizes that are worth well over $20,000. A single run format gets you one timed run on Saturday and one timed run on Sunday. Your best run counts as your time for the weekend.